I remember going into my Econ 101 class thinking that economics was synonymous with finance. I quickly discovered that instead, it was synonymous with boring. By the third week, the lecture hall that could seat 400, and was full the first day, had dwindled down to about 40 students, half of whom slept or watched movies in the back. Even though I often fell into the sleeping crowd (at least I showed up? 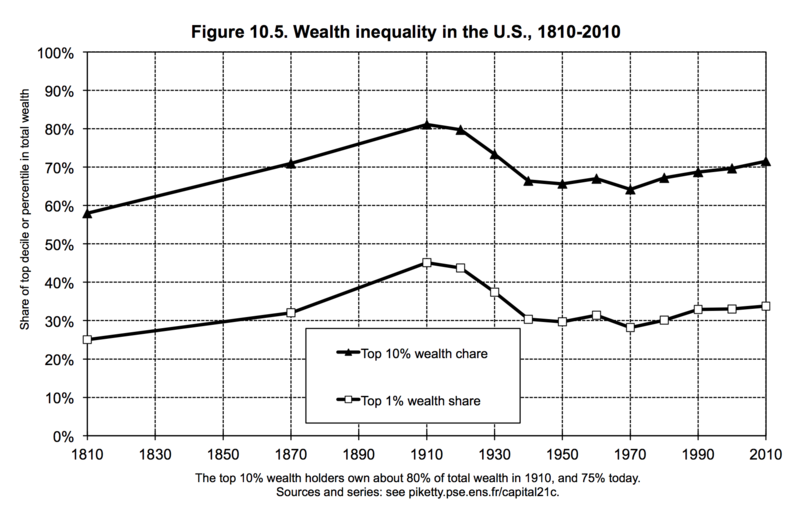 ), Piketty's book still peaked my interest. The first reason was because it had a social bend to it - it's more a book about inequality than it is about economics. The second reason was that it came highly recommended by two intelligent friends: Rhode Scholar Logan Graham and my man BG. One day, I hope to get to the point where I can criticize and point out flaws in Piketty's book, as both Logan and BG can do. To be honest, for me, it was more an exercise of absorption to see if I could even comprehend and analyze the mounds of information that Piketty uses. He literally goes back to the start of (Christian) time for some parts of his analysis, such as when he talks about the growth rate of the population since year 0. There are many paragraphs that read like, "in Germany, the growth rate for the top decile was 1% from 1790-1810, 1.2% from 1810-1830, 1.3% from.... which is interesting when contrasted with France, which had growth rates of 1.4% from 1790-1810..." And if you are somehow able to get all those numbers into your head, Piketty usually also sums up by saying something along the lines of, "but of course these numbers are based on woefully incomplete sources so please just consider the trends and magnitudes". As I often read on buses, I caught myself staring out the window frequently just to take a break from all the numbers and graphs that he presents, and wishing economics was as simple to understand as a tree blowing in the wind (though I suppose one could argue otherwise). 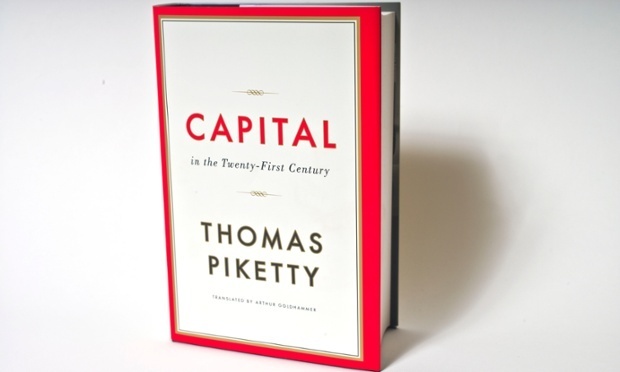 To be fair, Piketty does explain things quite well, and often employs even literary examples to analogize or backup his points. When I read Jane Eyre, I kept wondering to myself - how is Mr. Rochester able to not work and live the way he does? Piketty pulls an example from Balzac's Le Père Goriot, where the scheming Vautrin describes - to the dollar (franc) - why one should give up working hard at a profession and rather aim to simply marry rich (if you weren't rich already). To a certain extent, Piketty argues that, if left unchecked, our current political policies could lead us back to this kind of society where hard work can't get us anywhere near the wealth that certain people luckily get through inheritance or marriage. It's slightly disheartening to hear Piketty lament that his proposed solution, a global tax on wealth, is probably utopian and at best a possibility many decades away. Unless World World III happens. In any case, I'm glad I read the book to understand trends in wealth and capital accumulation, brush up on my economics (and history and literature), while still hopeful that at least someone smart is studying the issue at a systemic and policy level so that long-term solutions can be discussed and actioned upon.